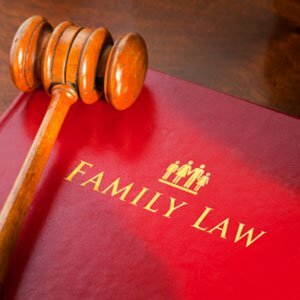 Florida uses a special affidavit for Family Law cases. The form is available in the drop-down box on the page where you order affidavits. When should I select this form? You should use this form to comply with the Servicemembers Civil Relief Act (SCRA). It is for family law matters in Florida only. Use this form to answer whether the other party in your case is on active duty in a branch of the military service. Active duty includes reserve personnel of the Army, Navy, Air Force, Marine Corp, and Coast Guard. It also includes members of the Florida National Guard who have been called to active duty for more than 30 days. Even if you believe that the other party has never or would never join the military, you must show the court proof that he or she is not a member of the military. For information on obtaining certificates of service or nonservice under the SCRA, register on this site, which also provides affidavits. Alternatively, you may go to the following websites: www.defense.gov or www.dfas.mil. Or you can fill out the form and mail one copy to each of the military branches listed below. You may be charged a service fee by each military service branch for their response, usually $5.20 per branch. There are seven service branches. The Servicemembers Civil Relief Act Centralized Verification Service charges the same amount — $36.40 — and does all the work for you. If you prefer to contact each service branch individually, please refer to the websites and/or phone numbers listed below for help in determining the amount of each military branch’s fee and to verify its current mailing address. COAST GUARD: USCG Commander, Personnel Service Center, Attn: PSD-MR, 4200 Wilson Blvd., Suite 1100, Arlington VA 22203 Phone 1-866-772-8724. NOTE: All requests must be in writing. MARINE CORPS: CMC HQ (MMSB17), 2008 Elliot Rd., Room 201, Quantico, VA 22134, Phone (703)784-3941. NOTE: All requests must be in writing. NOTE: All requests must be in writing. Type or print the family law form in black ink. Complete this form for each branch of the United States’ military listed above. Mail forms to each branch with a check for the appropriate amount and a stamped, self-addressed envelope. Keep a copy of the form for your records. After you have received a verification of military status from each branch, attach those verifications to an affidavit of military service and send with the Florida Supreme Court Approved Family Law Form 12.912(b), for filing with the clerk. Remember, a person who is NOT an attorney (nonlawyer) helps you fill out these forms, that person must give you a copy of Disclosure from Nonlawyer, Florida Family Law Rules of Procedure Form 12.900(a), before he or she helps you. A nonlawyer helping you fill out these forms also must put his or her name, address and telephone number on the bottom of the last page of every form he or she helps you complete.